As our crews begin this weeks patrols along the quays of Waterford City we would like to bring another very important awareness campaign to the forefront. The Odd Socks for Katie campaign is run in the hope that people will continue to remember Katie Murphy by reminding others to be safe and responsible on our roads. Our patrol crews will carry out their patrol with their odd socks in the hope that this small symbolic gesture might be a useful way of starting important conversations about the dangers of speed and the sense of loss that people are experiencing at the moment. We hope that people will continue to remember Katie by reminding others to be safe and responsible on our roads. 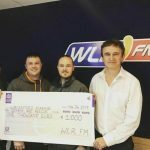 We would like say a massive thank you to the WlrFm team for their most generous donation this morning of €1000 towards the fitout of our new search and rescue base. Pictured is Darryl & Declan Barry at the cheque presentation with the “Deise Today” Team of Jennifer and Eamon. Many thanks for your amazing generosity. 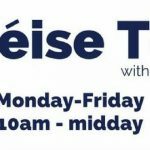 Listen out for us in the morning on WLR FM’s #Deise Today where we’ll be talking to Eamon about our work here in #Waterford and our journey towards a permanent base for the City. **New Search and Rescue Base for Waterford City ** Waterford Marine Search and Rescue is proud to announce the purchase of a 3 story, 6000 square feet unit located at the Park Road Business Park, adjacent to the River Suir in Waterford City. 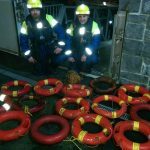 Waterford Marine Search and Rescue have been looking for a suitable unit for the last 5 years to locate a search and rescue base. Our mission, vision and commitment to the people of Waterford has come to fruition, and includes the following. Training room Search and rescue operations room Conference room Equipment storage area Canteen Showers and toilets Family liaison room Rest area Garage area for boats and vehicles The new base also comprises of a large parking area to the rear of the unit which will be able to accommodate all of our search and rescue vehicles and plenty of parking for volunteers and visitors. With thanks in no small way to the support of the people of Waterford and surrounding areas, we are delighted to have been able to fulfil our commitment and deliver on all of the above and more. The riverside property, which is the first of its kind in the city will serve as a permanent base of operations for our voluntary work in Waterford and surrounding counties. 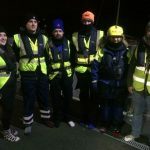 We would like to thank you, the public and businesses of Waterford City, County and South Kilkenny , for the continued support you have shown to Waterford Marine Search and Rescue. We expect our base to be open and ready to assist the community in the next few months but a final push for donations is needed. 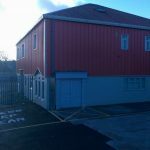 If any local businesses would like to contribute to the search and rescue base, or feel they can provide services to upgrade the new base they can contact Waterford Marine Search and Rescue through their website waterfordmarinesearchandrescue.ie or their Facebook facebook.com/waterfordmarinesearchandescue. You can also text WMSAR to 50300 to make a donation of €4.